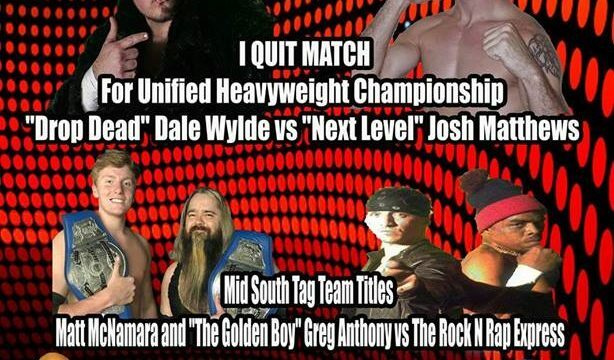 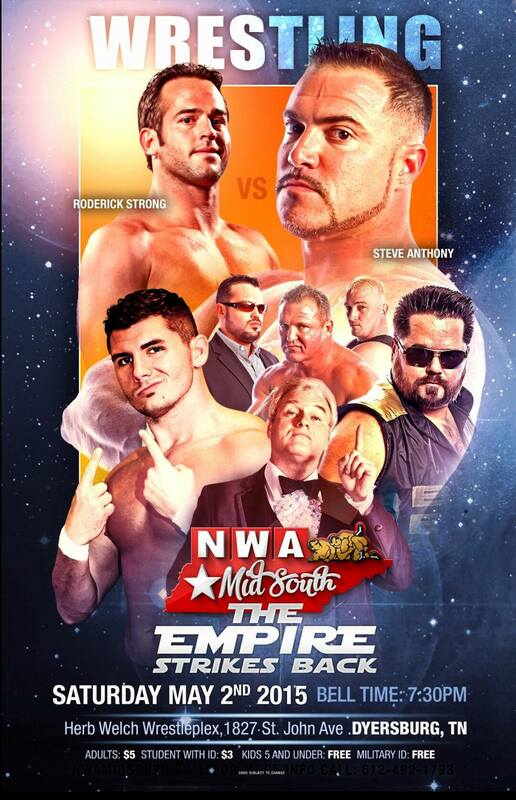 Home / Archive by Category "Flyer"
NWA Mid South has very special guests this Saturday! 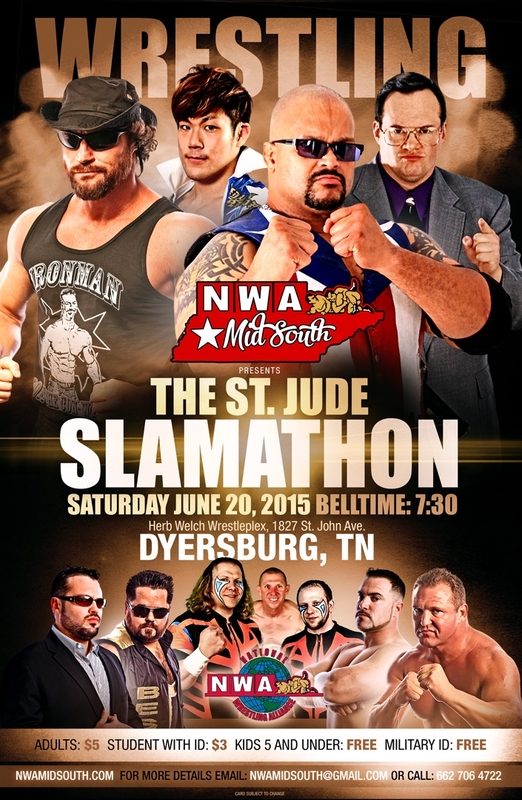 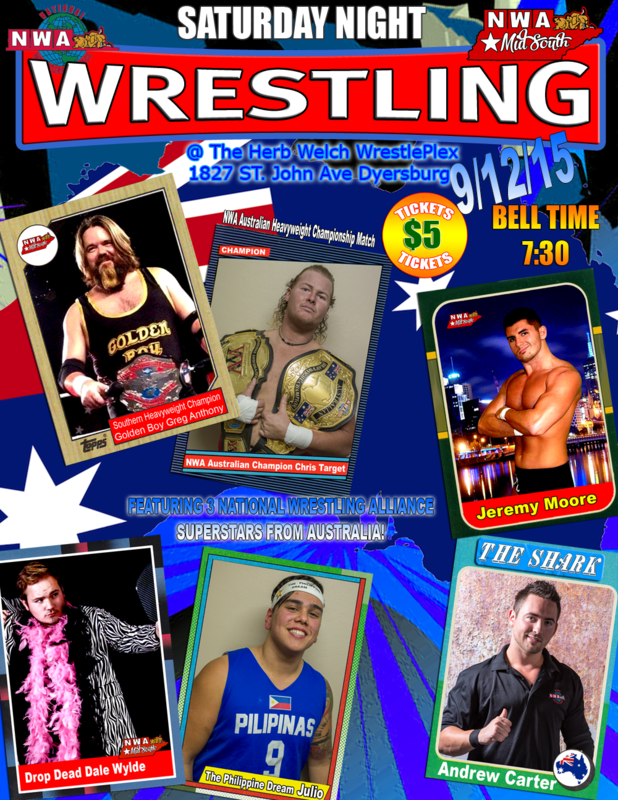 The St. Jude SLAMATHON is the CAN’T MISS event of 2015! 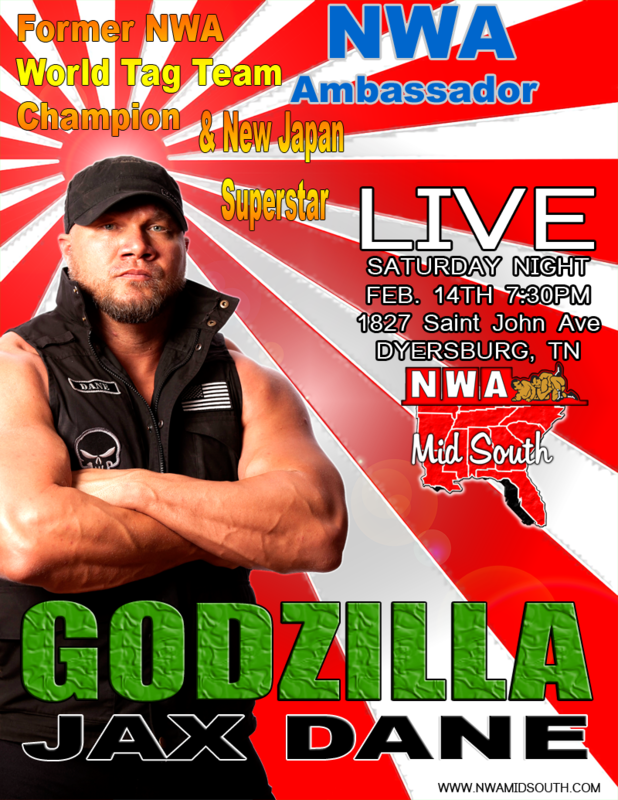 GODZILLA JAX DANE will be in the house Feb. 14!